Secondary schools in Dar es Salaam widely suffer from limited classroom resources, a lack of learning materials, poor infrastructure and pollution (mainly dust and litter). 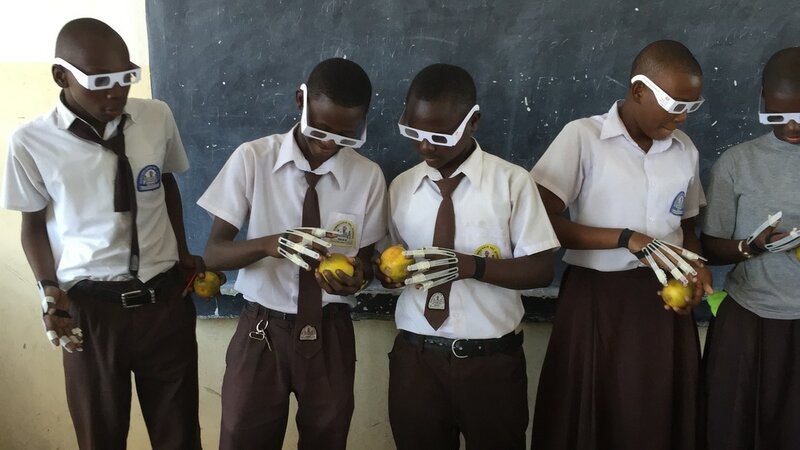 The challenge required teams of secondary school students from across Dar es Salaam to research, design and implement sustainable solutions to pressing problems experienced in their schools and communities. Over the course of the programme, CDI facilitated students in the implementation of their initiatives and ran workshops training participants in skills such as critical evaluation, fundraising, project planning, delegation and leadership. The self-discovery workshops involve 4 sessions entitled “My Identity”, “Future Plans”, “Careers Information” and “Problem Solving”, the last of which gives students an opportunity to pitch an idea for an initiative. These activities are aimed at helping students to think about themselves, their future aspirations and generally become more self-aware. The best initiatives/students are then selected for entry into the Think Big Challenge, which has already been described, via a written application process. The Dream Sharing Event serves as a closing ceremony for the TBC and is an opportunity for students to exhibit and win prizes for the initiatives they have developed during the challenge, as well as a chance for them to interact with local professionals. In Summer 2017, the DSE involved talks by school and university students regarding self-discovery and successes beyond formal education, stakeholders, such as Latifa Mrisho from The Earth Institute TreND Outreach, presented their ideas on ways in which students can be involved with developmental work in different career fields, and the District Commissioner discussed available opportunities in the community for young people to air their voices and participate in development. ​The Youth Empowerment Clubs are a way to ensure our work is sustainable – they consist of weekly sessions that provide students with a space to continue working on their initiatives while continuing to develop skills through collaborating with their peers. Clubs have been implemented in the schools we worked with prior to Summer 2017 and are being run by a student leadership committee, which was appointed following hustings. An 8-month curriculum has been drawn up and handed over to the student committee, as well as regular feedback forms and impact surveys, which will be collected and analysed in Summer 2018. 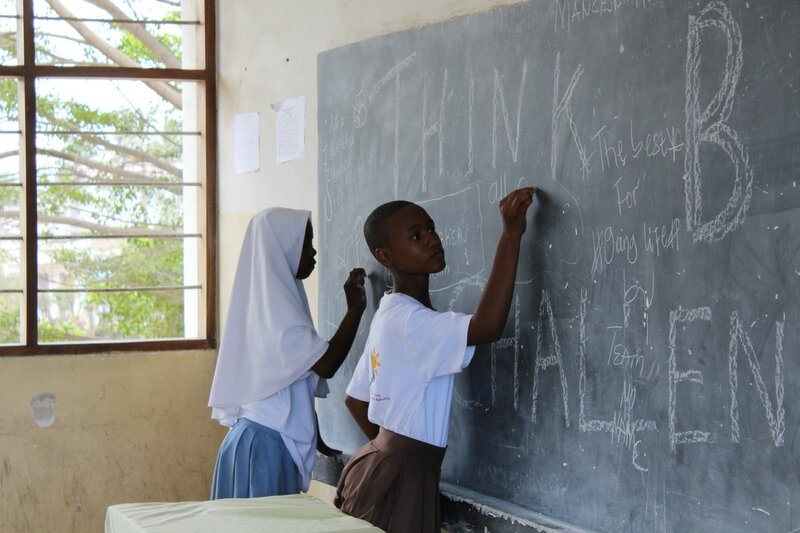 We have now worked with students at 13 schools from different districts of Dar es Salaam, with over 1000 having been involved in CDI’s self-discovery workshops. In Summer 2017, 72 students participated in the Think Big Challenge itself, three teams of four from each school, selected via a written application process. In self-evaluation surveys, students reported they felt they had improved in 11 out of 12 skill areas, including evaluation, teamwork and confidence.​​​​ Meanwhile, the successfully implemented initiatives were varied, creative and combated very real problems. They ranged from setting up a silent study area in a disused classroom, to informing the community about the importance of education for women. “It starts with you, as you should be an example and other people will follow easily." “We learnt how to solve problems without any fear, since we learnt the proper techniques." “The project should continue because it helped us a lot in knowing ourselves. Please come back again and add other schools." “I feel like I was respected and CDI cared a lot." ​For the full version of the Education Project's Impact Report, please see our Publications Page. This year, we are planning on expanding the Career Network Support further into more districts of Dar in collaboration with a local Tanzanian NGO called Bridge for Change (BFC). This is an exciting time for the Education Project, as the CNS is nearly completely handed over to BFC, with CDI playing more of a logistical and fundraising consultant role. Over the next year, the Education Team will be undertaking a period of research and ideation. In Summer 2017, we piloted a new initiative called KompyutHer, which aimed to improve the computer skills of out-of-school girls in order to improve their confidence and chances of employability. The vision for next year involves further pilots in order to determine whether KompyutHer can be developed into a sustainable programme, as well as a process leading to innovative novel initiatives that the community has a need for, which can then be piloted. ​​For more about the continued work of the Education Project, please visit their website.